We often think of malware as being designed to sit beneath the radar, collecting data in stealth mode, for the purposes of fraud or corporate espionage. These malware attacks, which may well have targeted website vulnerabilities, resulted in destruction on an industrial scale. 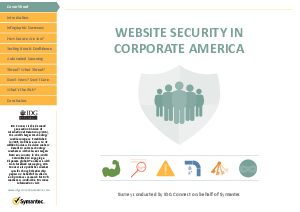 Read on to learn more findings by this survey, with stats on security in corporations and their IT confidence and more.